Start out the evening with a classy cocktail around 5:30 pm inspired by the community spirit that is Republic Restoratives, a new women-owned distillery turned venue in town. They are located just a few blocks north of the Angelika pop up and humane society on New York Ave in Northeast DC. There is plenty of parking (free for 2 hours) within a block in the Hecht’s garage. All ticket holders are given 20% off drinks. Feel free to drink water or soda, it’s not required to drink alcohol. Around 7 pm we’ll convene intro the huge industrial style back room. You can also order food to be delivered, and there is a nice pizza spot nearby that delivers to the distillery. There are about 10 restaurants within a block, and Union Market is also really close. Audience members will enjoy a trek through time following the changes in style of the jazz tradition with performances of arrangements by Fletcher Henderson, Duke Ellington, Count Basie, Oliver Nelson, and Thad Jones. 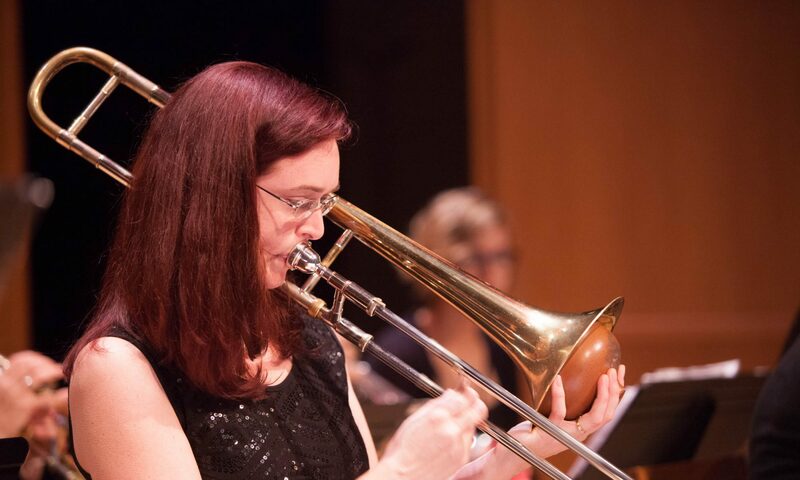 Following their tribute to the masters, the jazz orchestra will play world premieres of new music by band members as well as groove arrangements of recent popular music. This will be a nice event, and we hope to see you there! Tickets for each set will be sold separately. Ticket holders for the 7 pm set are welcome to stay through the 9 pm set. This post is about the internet and clicks and how people are making money off of a jazz master’s name. This post may seem a bit non-artistic to those that know me. I just feel the need to get this out there, and it goes in line with my JTTB Records 2015 Vision of creating a non-profit record label that promotes a sustainable music industry. More info about website services coming soon…. look for it summer 2015. I am writing to try to bring attention to an issue that I have noticed, over and over again, regarding the internet and the names of the great jazz musicians. Basically, every time someone searches for something on Google and then clicks on a link, someone makes money off of that click. There are a lot of really popular and amazing jazz musicians who don’t have websites, and thus lose all that traffic to a directory, which then makes money off their name. Now, it might not be a lot of money, but it’s really easy money called passive income. Once the site ranks #1 in google search results, people show up, click on ads, and you make an income without having to do anything. I have nothing against directories, but when they rank #1 on Google in a search it bothers me. Why? Because they are making money off the name of the jazz master. Perhaps this money should go to the estate. Right now, if you go to the Google Keyword Planner Tool, you will see that there are between 300k and 500k searches a month for Louis Armstrong and related keyword strings. Now, don’t get me wrong, Google Keyword Planner is not super accurate, and is designed to give you a price for ads, but generally, you should know that it’s a good free way to see how many people are searching for something every month. Now, you might say, what’s the big deal? Half a mil searches? Ok? So What? Well, put Louis Armstrong in the search bar on Google. What pops up? Wikipedia is number one. Then a PBS article. (no offense intended to PBS, sorry). Number 3 is a biography.com article. And then, what the heck? Smart Passive Income blog? Because someone with the last name Armstrong left a comment on a super strong site? I love that blog, but really??? Pat Flynn is getting traffic for a Louis Armstrong search??? OK so I love Pat Flynn (full disclosure – I’ve bought his course) but I’m not sure he should be ranking for Louis Armstrong. Ok then, finally, on number 7 in the search results is the Louis Armstrong charity. OK, so the real Louis Armstrong is #7 in Google. What’s the big deal? Well, 90% of people click on #1. And for every 4,000 visits a month, you can easily make $40 in ad income for one little banner ad. Therefore, with 90% of 400,000 visits a month, Wikipedia is getting 360,000 visits a month about Louis Armstrong. They monetize that by using that huge number of visits to try to get donations. Whether they use ads or donations, someone somewhere is making money off of Louis Armstrong’s name. Imagine if you put up a site that ranked #1 on Google for Louis Armstrong. And on such site you put up 10 ads. For each ad you’d make $3,600 per month (360,000 / 4,000 = 90. Therefore 90 x $40 – $3,600.) Therefore, if you can create a site for Louis Armstrong that ranks #1 in Google you can easily make $36,000 per month in passive income from just a simple search for that name. That’s $432,000 per year. This is all perfectly legal. There’s nothing you can do, except to make a site as strong as Wikipedia and then SEO the heck out of it to get it ranked #1. SEO stands for Search Engine Optimization, and it’s a procedure you do to get your site ranked #1 on Google. Now don’t go doing this at home, ladies and gents. Be careful with SEO. If you hire the wrong guy, you are putting yourself at risk of being ostracized by Google forever. You have to do it right. Actually, someone could go ahead and do this without getting the estate’s permission, and they would get all that traffic completely legally. This has already happened to one jazz master who is still living, I can’t remember who – someone else made a website about him, and he can’t get his own site ranked against the fake one, and there’s nothing he can do. So, basically, if an estate doesn’t have a website up for their jazz master, they are essentially saying to the world that it’s ok to go ahead and take all that traffic. This actually already happened to me for my Bullettes. I made a Yolasite and then dropped it. Someone else took that yola site domain name and turned it into a plumber site. It took almost a year to get that stupid Yola plumber site out of the rankings and have my own website rank #1 for the search, “Shannon Gunn and the Bullettes.” In the mean time, the #1 search result for Shannon Gunn and the Bullettes was a plumber site from San Fransisco that had nothing to do with my organization. I complained to Yola and they said there was nothing I could do, “ask nicely” for them to take down the plumber site. Thankfully now my own site (and all sites I have created or have control over) rank in the first page on Google. Lesson to musicians: don’t ever let go of your domain names, even the free ones through Yola or whatever. Dear musicians, please make a website and get it ranked #1. Thank you. Let me know if you need help with that, especially the white hat SEO part, and especially if someone else is getting ranked for your name. 1. please don’t come to me with dollar signs in your eyes asking for a website and expecting to get rich. It takes time, like 6 months to a year, to get ranked for your name sometimes. The income is negligible unless you have a large number of clicks. 2. I want to just say that I adore Pat Flynn, he has been an inspiration to me, and I know he will see this article because I’m pretty sure he has a google alert on his name. Thank you Pat for all you do and thank you for teaching me so much about the internet. This article is in no way meant to defame your name, or make you feel bad, it’s just an illustration of your amazing SEO and how you are ranked for Louis Armstrong. I feel like I know Pat well enough through listening to his podcasts and reading his blog posts that he wouldn’t be too upset at me for pointing this out, and for possibly eventually losing his ranking for Louis Armstrong. It’s time to write an actual blog post and start letting everyone know about how some things will get tweaked in the next year or two. This morning I sat down and spoke with my father about my plans, and he was very confused so this is partly to clear that up for him. This website has been a tool as a “temporary” place to hang my hat for my podcast, but now it will become a permanent home for the podcast and I am going to take all my personal music related stuff (performances, etc) and migrate all of that over to shannongunn.net. (Currently that’s just a splash page with links to everything else I do.) In the meantime, Jazz to the Bone is going to become more of an entity upon itself. I hate to use the word record label, but that’s the best term to describe it at the moment. But this “label” isn’t going to be like any other out there – artists will retain 100% royalties/earnings, in fact artists will still distribute under their own label name, and the entity will be a vehicle for their success, and not concerned with the end product. How is that possible? Read on. This site will become the home of Jazz To The Bone (a.k.a. JTTB), a non-profit record label focused on recording and producing music that would not necessarily sell. In other words, a sustainable record label that will not depend on the sales of music to pay its bills. How, you might say? By focusing on high profit margin products. First in line will be education. Think about it, once you create a course online, all you have to do is drive traffic and then all income is passive income (income you earn without having to actually work). There is a huge demand for people wanting to learn to play instruments, record, and manage their finances and invest. (I threw finance in there because when I talk about this to other musicians, it seems to pique their interest more than anything else.) Other high profit margin items might include coffee, among other things. Once the entity gets established, and is running for a couple of years, we can go into development and raise funds through grants or corporate sponsorships and get proper 501(C3) status. Until then, though, the label will focus on giving high quality recordings utilizing the equipment I already own and use. At this point I am just a few mics and plugins short of having a pretty good little portable studio. In return for sales on education, money will go toward producing concerts, festivals, recordings, promoting, and generally helping musicians. The podcast will be part of that, as well as this blog and education programs. All education programs will be offered online, with easy and quick access to an instructor for any questions that may come up. How will you do that, you ask? Working on that right now as a graduate student in Instructional Design and Technology at George Mason University. Each course will be offered online, videos will be on YouTube, and students will be able to download their lessons onto a Kindle. Eventually an online magazine will develop with updated links and articles about the topics of interest. All of this can be done for free now, with technology. I will be piloting a course called “Chords 101” to move in this direction in the next month. I created this course to teach my music technology students chords without having to read music, so they can play along with popular music and come up with their own chord progressions. Be watching for the Kindle version to arrive second week of January. There are some people doing this already – with robust education programs in the DC metro area. But nobody can offer that plus the recording side as well. One thing I’ve found is that when you distribute sheet music, you should also distribute a video to show people how to play it. I would love to see this “Jazz to the Bone” not only record and promote music, but to be offered as a publishing arm for musicians, but with a twist – each published song would have tutorials, videos, and links to people performing it as it should sound. Once again 100% of income goes back to the artist. There is really no overhead for any of this – except for the server costs, which I already have to pay anyway. Everything can be developed for free using technology. Artists can use this to their own discretion – and it will be merely a platform for their product. Traffic is cheap. Dowloading/uploading from a site is not. There are ways to do that, though, that will be free – Amazon S3, dropbox, archive.org, it can all be done for free. This is just the tip of the ice burg for what I have planned for 2015 – as an artist, I’m also starting a new trombone quintet with two bones playing JJ and Kai and other straight-ahead goodness, and I’m working on a groove ensemble that will play more free as well. Bullettes will keep on working, as a septet or a big band as is needed, but that ensemble will remain straight ahead while I personally venture into free and groove oriented music. The JJ and Kai tribute band will be for literature and because I just love playing with other trombone players. I may also start a trombone quartet (four bones), but that will be a side project compared to the other things going on. Right now, musically, I’m focusing on my Jazz and Freedom Festival which will be co-produced with CapitalBop during Martin Luther King Jr. weekend of 2015. I’m putting together a Jazz and Freedom Octet to perform Max Roach’s Freedom Now Suite as well as other similarly themed songs. It’s going to be AWESOME. This biggest need I see in the music industry right now is money. THERE IS NEVER ENOUGH MONEY. Never enough money to pay personal bills, to put on projects, to record, to transcribe or arrange music. There are other ways to make money other than performance and sales. A label doesn’t need to make money, just be solvent, if the goal is to distribute music. Unfortunately, the Bullettes gig at the Carlyle Club was postponed till a later date… We’ll let you know as soon as we know! Unfortunately a private party bought out the club on that date (which was October 30th). We are playing on March 22nd at the Westminster Presbyterian Church again, so that will be fun! Hope to see you there!